The Tactile/Kinesthetic Program, envisioned by Reuven Feuerstein and brought to life by Dr. Roman Gouzman, is a powerful method for all ages of people who have challenges of ADHD, visualization skills, or visual impairments. 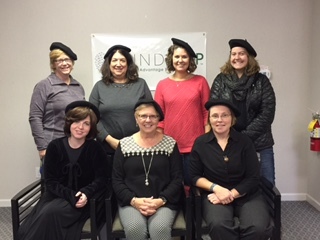 These new trainees will use their skills as an Occupational Therapist, MindCAP staffer (Anne), Cancer Services (for brain fog), at a Jewish school in Montreal, and at Lakewood Park Christian School in Auburn, IN. MindCAP is now looking for a few volunteers with visual impairment (or total blindness) to experience this program and provide us valuable feedback. If interested, please contact Jeanne at 260-704-3336 or jeanne@mind-cap.org.